We e-learning developers are always looking for time-saving shortcuts that will help us create better-looking courses in less time. The good news is: Storyline 360 has tons of features that can improve your workflow and speed up your development time—it’s just a matter of knowing when and how to use them! 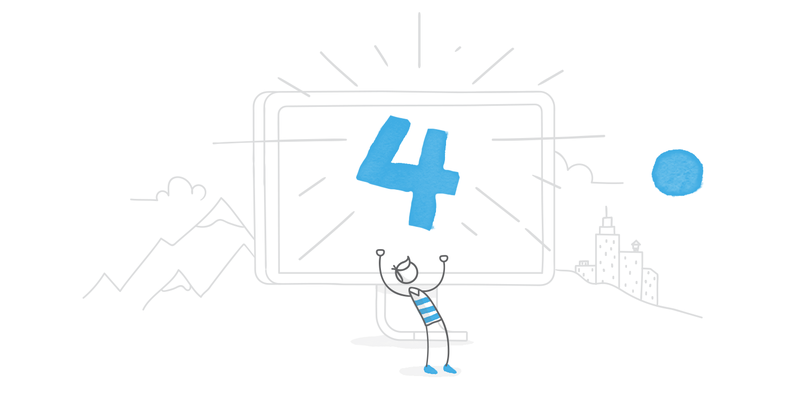 To get you into the fast lane, here’s the lowdown on four of my all-time favorite Storyline 360 time-saving features. You’re a hundred slides deep into a project when your Subject Matter Expert announces a change: you’re replacing one of the key terms used heavily throughout the training with a different word. Then, the company’s marketing team lets you know they’ve updated the brand guidelines and have revised the company font. Will you have to manually replace the text and fonts throughout your course? No, you won’t, thanks to the Find/Replace feature available on the Home tab of the Storyline 360 ribbon. Select Replace Fonts to quickly replace one font in your project with another. The drop-down list under “Replace” will allow you to select the font you want to replace (you’ll only see the fonts currently in use in your project, which makes it quick and easy), then scroll through the drop-down list under “With” to choose a new font. One of Storyline 360’s most powerful and beloved features for creating interactivity are the built-in states, which let you change the appearance of an object based on learners’ actions. For example, you might use a hover state to change the color of a button when learners hover over it. Built-in states already have functionality attached to them. This means you can use most of them without having to create any triggers, which is a huge timesaver. Hover: This is how an object appears when learners move their mouse over it. If this state exists for an object, it will automatically display when learners hover over the object. Down: This is how an object appears while it’s being clicked. If this state exists for an object, it will automatically display when learners click the object. Selected: This is how an object appears when it’s been selected. If this state exists for an object, it will automatically display when learners click the object once. If they click the object a second time, it becomes deselected and returns to its normal state. Visited: This is how an object appears after it has been clicked, and it stays this way no matter how many times you click it. It’s useful when you want to provide learners with a visual indicator of the objects they’ve already clicked. If the visited state exists for an object, it will automatically display after learners click it. Disabled: Use this state when you want to disable an object. A disabled object is visible to learners, but it won’t respond when hovered over, clicked, or dragged. Unless it’s the initial state of an object, you’ll need to use a trigger to invoke it. Hidden: This state makes an object invisible. Unless it’s the initial state of an object, you’ll need to use a trigger to hide it. Adding a built-in state to an object is straightforward. First, select the object you want to add a state to. Click the States tab along the bottom of the screen and select Edit States. You can then click New State and stroll through the drop-down to choose from most of the built-in states. Have you ever spent a long time formatting an object to get it to look perfect for your project? You might adjust the fill color, the stroke color, the font style, the font size, and more. And if you’re adding states to your objects, you’ll also spend time creating and editing states, not to mention previewing and testing your work to make sure everything looks and functions as it should. If you’ve been there before, you’ll be super-happy to know that you can quickly copy all of the formatting and the states associated with an object in just a few quick clicks using Format Painter. Format Painter is a time-saving tool that allows you to copy over not only the formatting of an object but also all of its states. First, select the object that has the formatting and states you want to copy. Next, navigate to the Home tab on the ribbon and double-click Format Painter. With Format Painter selected, you’ll notice a paintbrush icon next to your cursor. Click on each object where you want to apply the formatting and states. You can even move between slides while Format Painter is selected and format objects on multiple slides. When you’re done, right-click anywhere to deactivate Format Painter. Voila! Copying over formatting and states is quick and easy with this feature. Button sets are a little-known but extremely useful feature for building interactivity in Storyline 360. At their core, button sets function using Storyline 360’s “selected” state, which is one of the built-in states. The selected state is generally used to indicate that a learner has chosen an object; it’s how an object appears when the learner clicks on it. For example, a check box uses the selected state to provide a visual cue (the check mark), to indicate which box has been selected. Just about any type of object can be included in a button set, from characters and shapes to images and textboxes. Here’s the catch: only one of the objects in a button set can display its selected state at a time. Here’s an example to help you understand button sets. Let’s say you create an interactivity with multiple check boxes, like the one below. You want learners to select one check box. Select multiple items by holding the CTRL key on your keyboard while using the mouse to click on all the objects you want to include in the button set. In the example above, we would select the three check boxes. While the objects are selected, right-click anywhere inside the selected objects to display the right-click menu. One of the options in this menu is Button Set. Hover over Button Set to display more options, then click New Set. You can then name and save your button set. Once you create a button set, you’re going to want to preview your slide and test your button set in action. With the button set in place, you will now only be able to select one of the objects in your set at a time. These are just four of the many features available in Storyline 360 that will help you work more quickly and efficiently. Which features do you use to save development time? Let me know in the comments! Awesome tips Nicole! I'm looking forward to the Find and replace font one, as upgrading my Windows version at work nuked two fonts I was using Andalus and Aharoni. Hi Jonathan! You may be able to redownload and reinstall those 2 fonts. But if not, then yes that trick will definitely come in handy! Thanks for the Button Set tip! And the replace font tip will definitely come in handy. So glad you found the button set tip useful, Davoren! That is definitely one of my favorites. I know most of these from SL2 but I like replace font and haven't used the button set feature much but will think more about that. (I think we're closing in on finally upgrading to 360.) I also try to use theme fonts so switching them up if you have to globally is easy enough if you stick with the header/body fonts. Thanks as always Nicole! Anytime, Chris! Thanks for taking a moment to leave a comment :) Appreciate it! While I have just retired, in my last project before retirement I changed the font on the project. Wish I knew the replace font option was there, it took me hours. Another tip though, using find and replace. Before publishing any project I always did the following Find all double spaces, replace with a single space Find space full stop, replace with just the full stop. Repeat with comma, colon and semi colon and any other special characters. You would be amazed how many instances of the above-mentioned occur in a project. Hope this helps. I hadn't heard of Button Sets before. That's a pretty cool concept and I will be keeping my eyes open for an opportunity to make use of it.